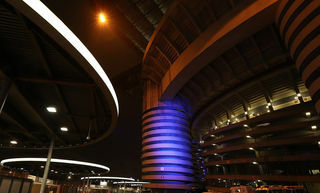 MILAN - The Nerazzurri returned to winning ways at San Siro! Goals from Cancelo, Icardi, Brozovic and Perisic proved decisive against Cagliari. Prior to tonight, the last time a team failed to attempt a single shot in a Serie A game was in January 2014 (Genoa vs Roma). 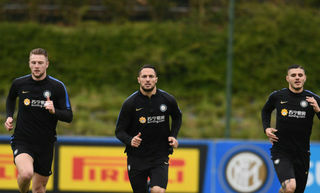 With João Cancelo’s goal, Inter ended a 315-minute goal scoring drought in Serie A.
Brozovic, Icardi and Perisic have all found the net in the same Serie A game since they are playing for Inter. Mauro Icardi has scored 25 league goals this term, his best tally in a Serie A season. Marcelo Brozovic has scored tonight his first home goal in this Serie A campaign, after three bagged away from home. Inter have kept seven clean sheets over their last eight league fixtures. Cagliari have conceded the most goals from direct free-kicks in Serie A this season (four). Inter have hit the woodwork 22 times in Serie A this season, more than any other side. 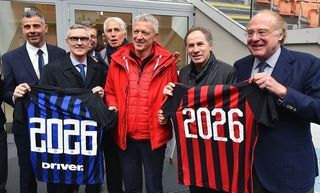 Inter starting XI had an average age of 26 years 225 days: The youngest used by the Nerazzurri in Serie A this season. Samir Handanovic played tonight his 400th Serie A game – only four current Serie A players (Buffon, Dainelli, Pellissier and De Rossi) have collected more in their career in the Italian top-flight. Inter recorded tonight the highest possession stats in the 2017/18 Serie A season (74%), while Cagliari had their lowest figure this season (26%). Cancelo: "I'm happy for the goal but even happier with the win"